In my musical explorations over the last week I came across a lot of new black metal that I wanted to recommend. To make the rollout of the music a little more easily digestible, I divided the collection into two parts, with the music listed in alphabetical order by band name, continuing from Part 1 (here) into this second part. 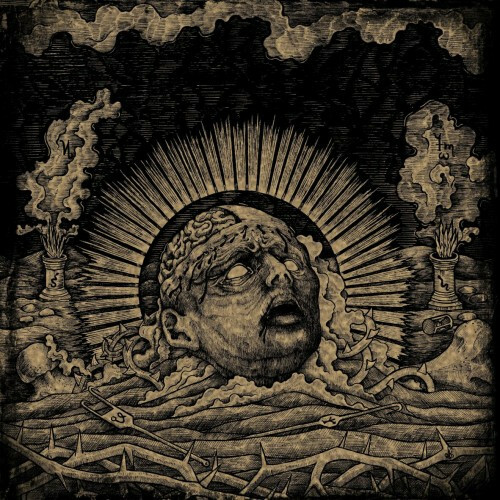 As usual for these posts, there are some significant stylistic differences in the sounds, despite the connections (either spiritual or otherwise) that all the music has to the ever-expanding genre of black metal. Part 1 of this collection included new music by Havukruunu, and we return to Finland for this next song, which will appear on the forthcoming fifth album by Lathspell. Entitled Thorn Cold Void, it’s due for release later this month by Wolfspell Records and Patologian Laboratorio Productions. Though Lathspell have been in existence for almost two decades, this song is the first piece of their music that I’ve heard, so I can’t give you a comparison to their previous works. But just considering it as a stand-alone song, it’s powerful stuff. “Beneath the Flaming Earth” lasts for 11 1/2 minutes. The opening interplay of guitar and bass hooked me immediately, and then I stayed rooted in place when the ripping, tearing, and blasting began. The high, swirling central melody in the song’s opening minutes is a very catchy one, matched in its serpentine intensity by the vocals, which are acidic enough to melt lead. The high-powered drumming and pulsing bass work are just as magnetic in their appeal, pushing the music further into the red zone. But this is a long song, and predictably, it changes course to avoid overstaying its welcome; the band occasionally pull back from the blistering tempo and also spin out interesting variations on that core melodic theme. Yet it’s an unrelentingly dramatic piece of music, both dark and majestic, that proves to be gripping from start to finish. A fine appetizer for the full course of Thorn Cold Void. Afrodisiacum der Vroomheid is the name of the debut EP by this Dutch band, to be released by Heidens Hart Records. I haven’t found much information about the band, but I’m very taken with the first track that’s now available for streaming from the EP. The song’s name is “Prodigious fascination of enshrouded darkness”. Like the preceding song in this collection, it’s blessed with a great central riff that gets its hooks in your head without delay, as well as a varying drum performance that only intensifies the music’s hold. And while the song is searing in its intensity, with vocals that spawn images of a man being garroted and skinned alive at the same time, there’s also an epic, heart-bursting grandeur to the music. Very anxious to hear the rest of this EP! Seventh Xul was a short-lived Greek project with only one release to its name, a two-song offering named Qliphotic Rites of Death that was circulated in scarce quantities back in 2010. It is now being reissued by Iron Bonehead Productions as a 7″ vinyl, and it caught my attention immediately once I learned about the members of Seventh Xul: The participants were vocalist Acherontas V.Priest of Acherontas (and many other projects) and guitarist/bassist N.E.C.R.O (Burial Hordes, Enshadowed, etc. 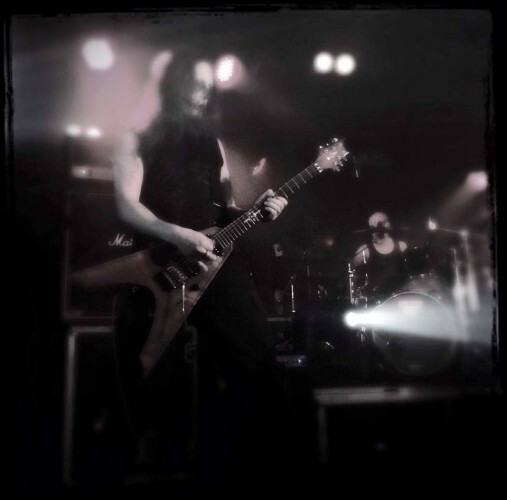 ), with session drumming by Fotis Benardo (Necromantia, ex-Septicflesh). The A-side track from this release, “Sitra Ahra”, is now publicly available for listening, though I’ll tell you something about the second song as well. Both of them combine elements of death metal and black metal with great success. “Sitra Ahra” meshes together deep, jagged, earth-trembling chords, sinister tremolo vibrations, and lead melodies that are unearthly and draconic. The music is at times a swarming tornado of violence, and at other times an ominous march, and the vocal expressions of Acherontas V. Priest are even more varied, ranging from infernal whispers to inflamed howls of passion. The introduction of the B-side song “Serpent’s Divinity” immediately establishes a supernatural atmosphere, but the music soon grows in power, driven by a riveting drum progression and a deep, grinding/swirling riff. The song again displays a lot of dynamism, sometimes groaning like anchor chains of doom dragging across a cavern floor, at other times jabbing like viper strikes or attacking like a threshing machine with a predatory mind of its own. And while the music is undeniably perilous and predatory in its atmosphere, there is a grim grandeur in the melodies, as befit’s the song’s title. 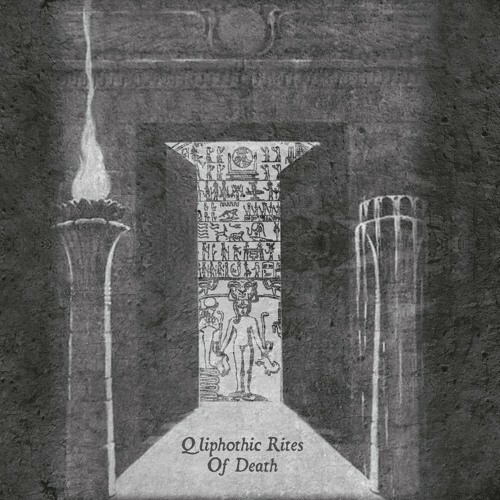 Qliphothic Rites of Death will be released on the 27th of May. 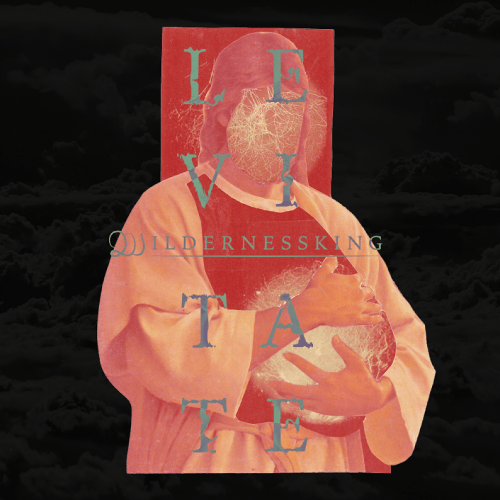 South Africa’s Wildernessking have long been favorites at our site, and thus we were excited to learn about the release last week of the band’s new two-song EP, Levitate. “Light” is slow and stately and does indeed glimmer with rays of musical brightness thanks to an entrancing keyboard and guitar melody that wafts above the deep rumbling of the bass and drum, as well as the high, clean, ethereal vocals. It’s true that you don’t get any hints of black metal influence until near the end, when the music becomes more intense, but it’s such a beautiful song that I couldn’t overlook it. The second track, “Birth”, makes for a good contrast. It rocks harder, propelled by a heavy dose of double-bass thunder and blast-beat flurries as well as waves of tremolo melody, and the vocals are predominantly of the flesh-eating kind. But although the music is darker and more anguished, the melodies are still moving and memorable. LATHSPELL!! So good to see and hear these guys back in action, and with a banger. TOTALLY AGREE! Lathspell is one of my favorite “under the radar” black metal bands. I recommend Versus Ecclesia for those interested in their back catalog. This embedded 11-minute (plus) onslaught is great. It might lack some of the band’s previous quirkiness, but it sounds damn good anyway with plenty of blistering, chilling atmosphere. Can’t wait to hear the rest of this release. Two shades in 2.5 hours. Someone ought to take your temperature, lad. I hate absolutely everything. Cause that’s what black metal is all about, right? I came across Orewoet’s track yesterday. It’s fantastic. the EP should be released in about a month according to plan. Ah good to hear that we won’t have to wait terribly long for the Orewoet. And although I didn’t actually write all of these two posts today, it’s true that I still ought to have some kind of medical attention. What a way to spend a weekend. That Lathspell track is electrifying. As good a one-word description as any — very glad you like it.